The team has been unable to gain any significant market share against Microsoft Internet Explorer. 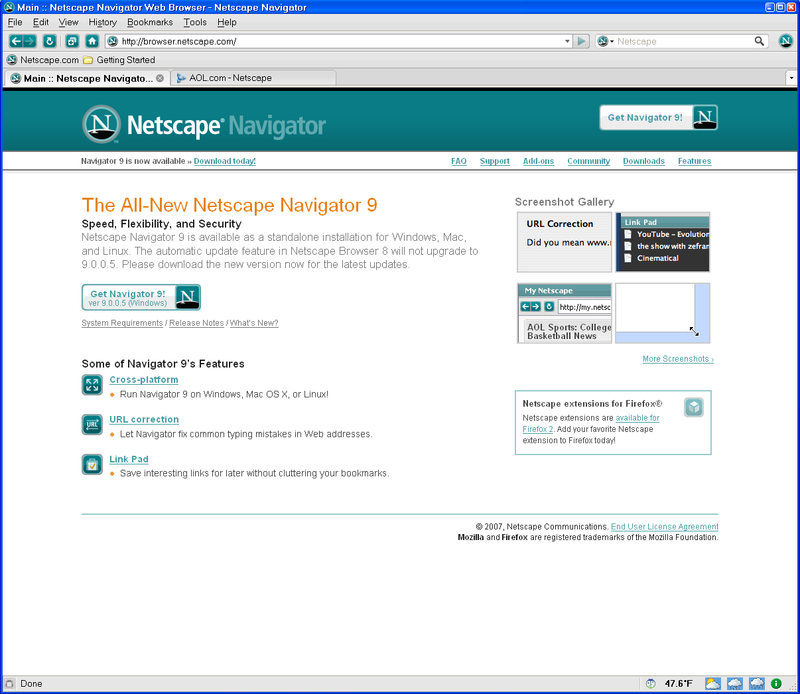 In fact, recent surveys suggest that Netscape currently has only 0.6% market share among browsers, compared to IE’s 77.35% and Firefox’s 16.01%. This, of course, is the same browser that once claimed more than 90 percent of the market, sparking the browser wars of the 1990s and the subsequent Microsoft antitrust trial. Drapeau says AOL’s transition into an ad-supported web business leaves little room for any real effort at maintaining and evolving the Netscape Browser.